Heating your home doesn’t have to cost the planet; follow our top tips to improve the energy efficiency of your home and reduce your carbon footprint at the same time. Not only will reducing your energy consumption save you a fortune on your gas bill, you can help save the planet at the same time. 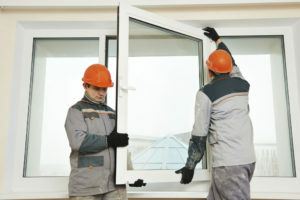 If you don’t already have double glazing, now is the time to invest – nearly 50% of our home’s energy consumption is used for heating and cooling our homes, yet 20% of the heat we generate is lost through badly insulated windows. You can also help rectify this issue by installing blinds, curtains or a combination of both to provide an insulating barrier that can help keep your home warm in winter and cool in summer. Another idea is to cover your windows with an insulating film – it is completely transparent so won’t make your windows look unsightly, yet it can help save you a substantial amount of energy. Loft insulation is an effective long term barrier against heat loss that can save you up to £240 a year on your heating bill. You should also get your boiler fitted with an insulating jacket to make the most of the heat in your home. There are lots of schemes across the country to help cover the costs of insulation, with many companies even insulating attics and boilers for free, so check with your providers before you get the contractors in. The more efficient your boiler, the less it will need to work to warm your home and therefore the more cost-effective it will be. Low-tech and affordable draught-proofing solutions, such as rubber sealants for around windows and door frames and draught-snakes for under doors, can help keep the cold air out and the hot air in, ensuring your home remains heated for much longer. Yes, you read that right. Rearrange your furniture so that bulky items like sofas are out of the way of radiators and shelves aren’t situated directly above them. This allows the hot air to circulate the room easier and the home will heat up much quicker. If your boiler is over 15-years-old and running inefficiently, or if you’re looking to make your home as environmentally friendly as you can, why not update your current heating system for a more energy efficient and carbon neutral model? Biomass boilers, in particular, are a great option for heating the home without harming the environment as they are entirely carbon neutral, producing an equivalent amount of carbon as the amount absorbed by the organic matter when it was growing. 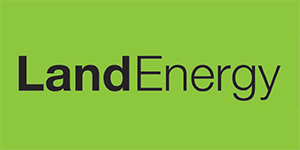 Land Energy are a leading supplier of biomass boiler wood pellets, and we focus on the mantra that heating your home doesn’t have to cost the planet. 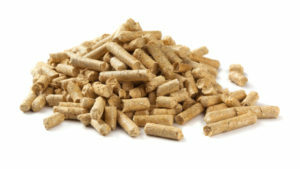 Our pellets are not only affordable, but are made from premium grade wood and are both BSL registered and RHI compliant, allowing your home to be heated in the most energy efficient and safe way possible. For more information on our products and services, contact us here and we’ll be happy to help.